Evening, Team English! Here is our third resource round-up (I’ll stop counting them soon) and this week’s has been especially hard to narrow down as there are so many excellent resources being shared. As always, thank you to everyone who continues to share their work with us. Morning all! I hope everyone is having a restful weekend now that the Y11 exams are finally over. To help you through your planning this lovely sunny Sunday, here is our round-up of the most popular/best resources shared on our Twitter page during the last week. The Team English blog has arisen from its long slumber with what will hopefully be a regular round-up of the best resources that have been shared with us this week. As always, a huge thank you to everyone who shares resources with us. What you may think of as just a simple resource is to someone else a huge timesaver so please keep them coming. English teachers are a sociable old bunch, and we love a good chat…as well as over-analysing anything ever written. 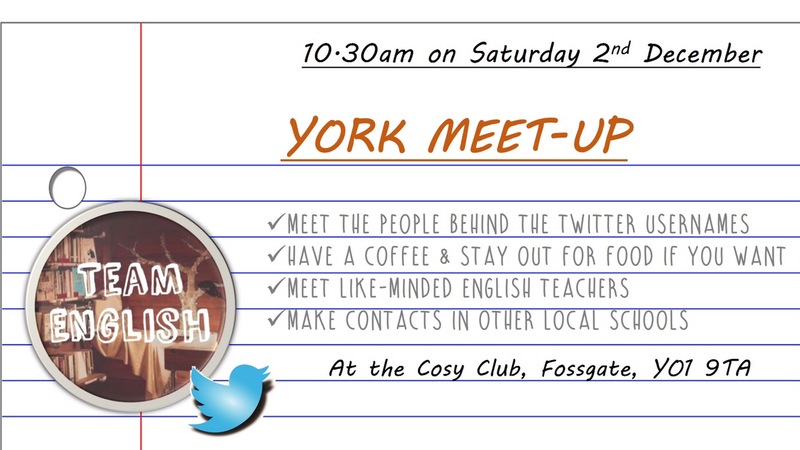 @Team_English1 has become a huge community, and new friendships have been forged across the country. 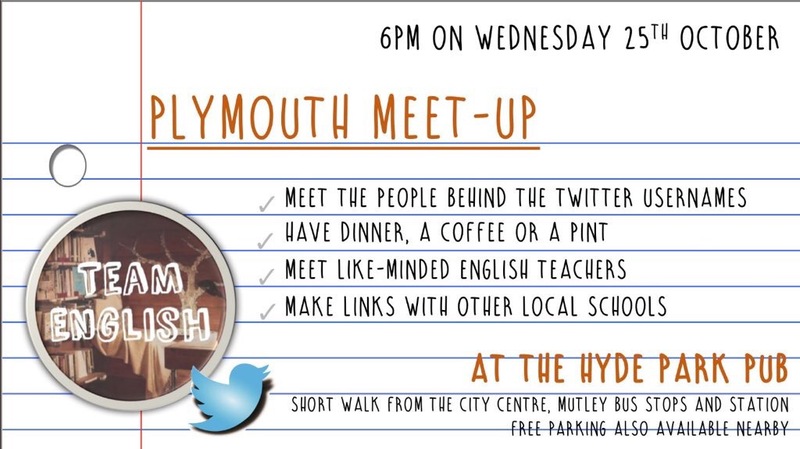 With that in mind, we thought that it would be really nice to arrange a few get-togethers across the country, where people can meet and chat with some of the faces behind the Twitter names. These will be very informal get-togethers so please don’t be shy – come along, have a few drinks and meet some new friends. If you would like to attend any of the following events, all you need to do is add your name to the spreadsheet below, just so that each event organiser knows how many to expect. Events will be added as and when they are organised. We hope to see many of you there! What (exactly) are you trying to say? Help, tips and assistance for students. This blog is part of a range specifically for students and can be found, along with others, under Student GCSE Blogs. AQA Section B: Writing You are advised to spend about 45 minutes on this section. Evaluating (you know the tough one)! Paper 1 Q4 is an evaluation question, you have to meet this objective: AO4 Evaluate texts critically and support this with appropriate textual references. The first thing you need to remember is this is an evaluative question and requires a personal response from you the ‘reader’. Evaluation is defined as “the making of a judgement about the value of something”. You are being tested on your ability to evaluate how effective a text is. This means you must write about the methods (techniques) a writer uses to create an effective text and are those effects successful? Try to analyse patterns of words e.g. the writer uses [strong verbs] to show….